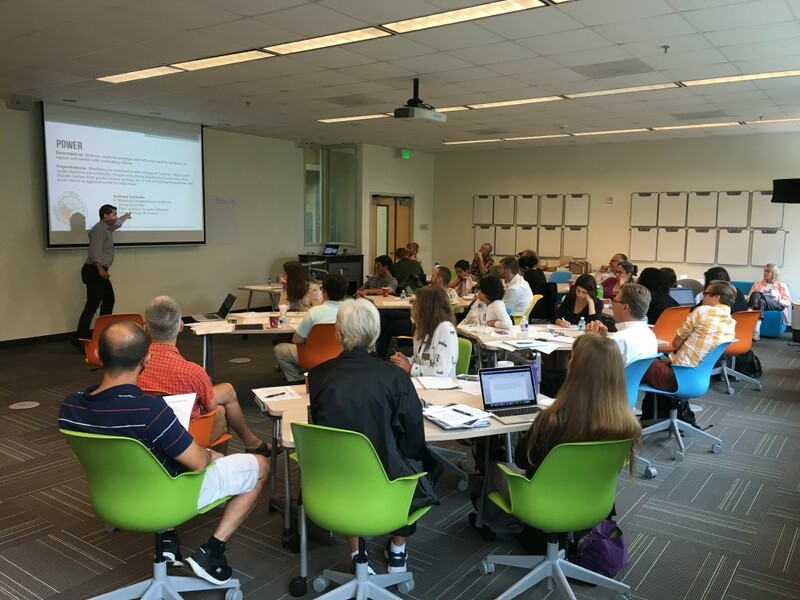 Our Chemistry faculty members gathered on a beautiful Friday afternoon (30 Sept.) to spend 2 hours with Steelcase representative, Marisa Sergnese, learning strategies for best leveraging the resources in our Steelcase Active Learning Center classroom in JBWN 206. From seating configurations to collaborative groupings to using Eno (Steelcase’s smartboard tool), Marisa shared many great ideas. Get ready students! The Active Learning Center will become even more active and dynamic in the weeks ahead. Thanks to Steelcase for the grant that supported the deployment of these resources at St. Edward’s! 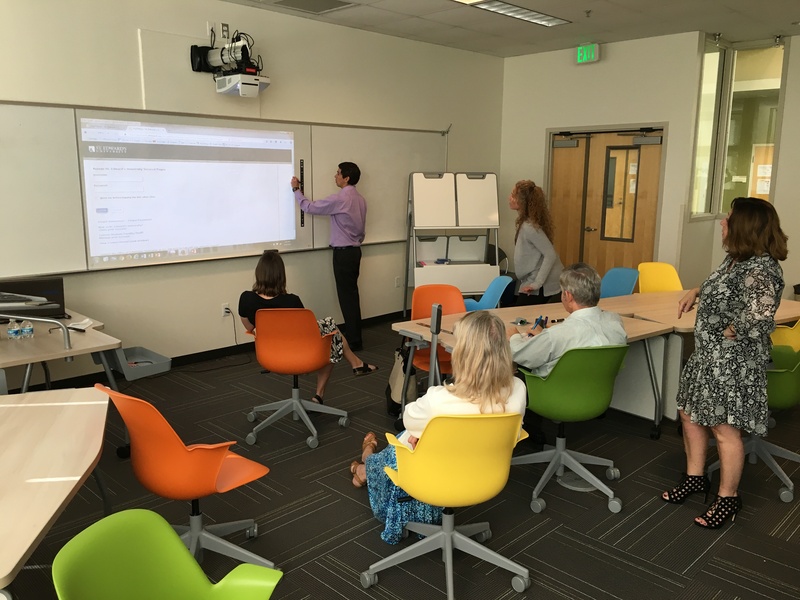 All interested faculty and SI instructional staff are welcome to participate in a workshop on use of the new Steelcase Active Learning Classroom in JBWN 206 from 3 – 5 pm on Friday, 30 September. Marisa Sergnese from Steelcase will be present to run the workshop.